You’ve probably heard the average American wedding now costs a whopping $31,000. This figure is frequently bandied around by everyone from news outlets to newly engaged friends (though it may not be entirely accurate). But we hear less frequently about how that money is spent. 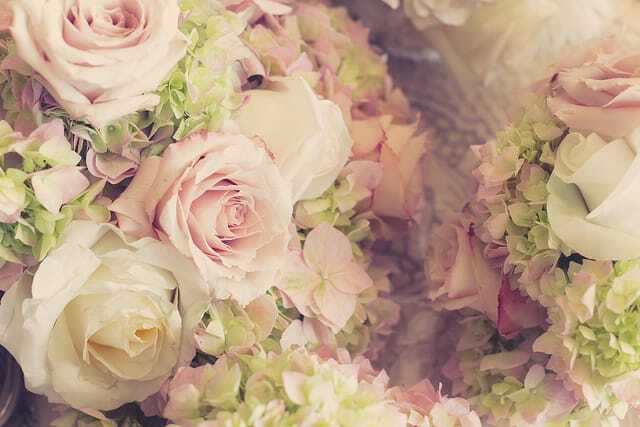 What does the average bride spend on flowers? How about the band? Or the cake? These numbers matter — because we can only figure out how to save money when we know what we need to save it on. So when popular wedding website The Knot released their 2014 Real Weddings Study based on survey responses from 16,000 American brides, we were eager to discover where that 31 grand actually goes. Curious, too? Below, we’ll reveal the results, as well as share tips for saving on your own big day. What Makes Weddings So Expensive? The average cost for just the reception venue (the ceremony site is a separate category!) is more than many people would want to spend on their entire wedding. If you’d like to save in this area, skip the hotel ballroom or country club. “Locations that don’t host weddings around the clock are likely to have more amenable price tags,” writes Lisa Rowan, who’s planning to hold her wedding in a restaurant. Another thing that’s worth keeping in mind: If you plan to have kids, you may soon replace your wedding photos with snaps of your whole family. So carefully consider how much you’re willing to shell out for those Instagram-worthy shots, and how many of them you’re likely to actually display. Note: If you’re a shutterbug yourself, taking photographs is a great way to make money at weddings. As the headline suggests, this was one of the most surprising figures to us. More than two grand on flowers?! We’re pretty confident no one is going to look back on your wedding and say, “It was great, but I wish they’d had more flowers” — so this is an easy area to cut costs. Again, Rowan offers smart advice: Visit a flower wholesaler. One near her offers a “mega box” of flowers that includes 250 stems for $200. When combined with decorations from your local craft store, your decor costs should come in well under the national average. Most of us love live music, but cutting out the band is a quick way to save a bunch of money. Instead, hire a DJ or create your own playlist; in the end, all that matters is playing tunes that get your guests onto the dance floor. Whoa. Almost $6,000 for a piece of jewelry? This number is undoubtedly skewed by the few couples who spend tens of thousands on a ring, but it still blew our minds. Despite the fact diamond engagement rings only became popular as the result of an incredibly successful advertising campaign, most women still want them. So what’s a frugal bride to do? Fake the ring, says Kelly Gurnett: She describes one couple who spent $25 on a ring that looked like the real thing. Half the people forget their wedding favors at the table, so just skip ‘em. Memories are the best souvenir you can give. To us, this sounds like an awful lot of money to pay for a few songs. You probably have a friend with a younger sibling who plays an instrument; hire them in exchange for some cake or cash. After all, you want people to focus on you and your new spouse — the music is, literally and figuratively, just background noise. Save trees and money by sending digital invitations. Beautiful options from Paperless Post start at $18 per 100. If the party is hopping, chances are most people won’t touch their cake. We’d suggest skipping this extravagant expense entirely, instead leaving out a few plates of cookies or cupcakes for anyone looking to satisfy their sweet tooth. If you’re curious about the other average costs of a wedding, check out the full results of The Knot’s survey. And if you’d like more ideas like the ones above, bookmark this: 101 creative ways to save money on your wedding. Whatever you do, don’t forget one thing: a budget! We were aghast to learn that, according to the survey, 23%of brides had no wedding budget — and of the ones who did, 45%t went over it. When making your budget, remember that though it’s easy to get wrapped up in the intricacies of wedding planning (“But we need the chair covers to match the centerpieces!”), the important thing is celebrating your love with your family and friends. After all, those thousands you save on your wedding could fund your honeymoon, go towards a down payment on a home or start your future kids’ college funds. Your Turn: Did any of these costs surprise you? How do you plan to save money on your wedding?